My work addresses the complex set of intersections between artistic practice and theoretical inquiry by posing practical responses through choreography and improvisation, community organization of events, and written analyses of process as methods of studying contemporary and African diasporic dance. My work is hybrid in nature and is practiced and researched on both bodily and written levels. Practice as research is a group of methods in which professional dance practice and theory are viewed as covalent and intertwined. In my work, I view dance practice as productive of theory, and theory as the motivation for new questions in practice when conjoined with other materials such as lived experience, political events, literature, or other philosophical or thematic elements. The following summary will outline where I situate myself in the field of dance, how I think about artistic practice, and how artistic practice is the base of my work and the site of inquiry for my written work and presentation. On technical and choreographic levels, my work engages the "base" of Haitian and African dance in combination with the somatic practices of Klein/Mahler technique, Body Mind Centering, yoga, and modern/contemporary dance to create researched movements. The movement technique that I practice is experimental, as is my choreographic process, in that they both grow as I locate researched movements and methods for producing dance. Through developing methods guided by improvisation, memory research, rhythmic patterning, and more recently, an interest in the resonance of words, place, space, and image, I seek to keep growing as an artist through process-based explorations, which are often question-oriented. Improvisation is central to my practice and process as a choreographer. I will often begin a new project, project section, or new phrase material by deciding to follow an intention, such as a memory or a set of words, experiences, or drawings that I have recorded in a notebook. I let the improvisations develop and accumulate. Often as I am researching new movement through memory, for example, I note newness when my body is articulating through a new, difficult physical space or set of movements. Through improvisation, I feel out what new phrase material, structures or textures might be employed in a work and selectively employ found materials. Improvisation is a process that I follow — an internal, energetic, and spiritual space or way of being. Memories of past experiences are a rich space in which to work, as they often call forth specific rhythms and textures. These memories are also often linked to the historical memory or rhythms embedded in the movement with which I am working. The resonance of words that describe specific experiences, literature, or stories also serves as a point of departure for improvisation. I will often create phrase work that draws from words and their qualities. 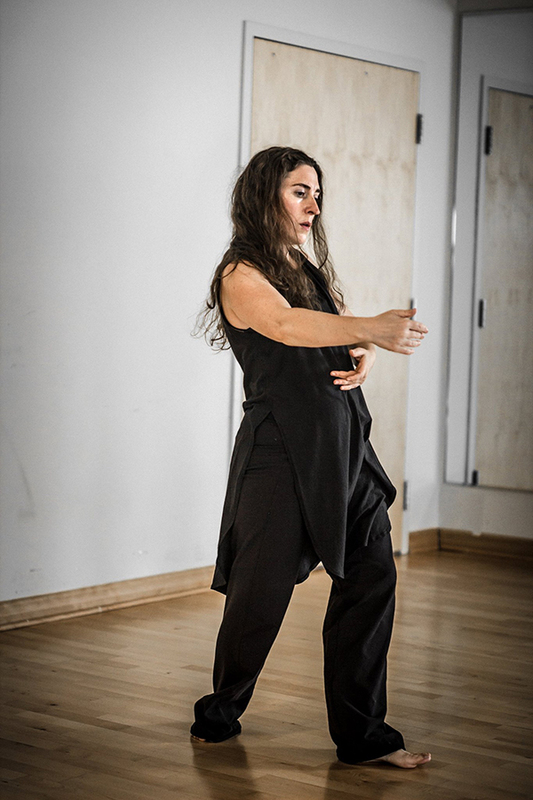 As a process-based experimental dance artist, I have worked over the past 18 years with collaborators in dance and music. While my training is primarily in dance, I do have training in physical theater through working with Company JAKA in Port-au-Prince under the direction of Florencia Pierre. Pierre is both an actress in professional and touring Haitian theater and dance companies and, notably, an alumni of the Haitian national ballet. My published work about collaborating with Florencia Pierre and her daughter, Djenane St. Juste, articulates the modes of exploration that we engaged in while making evening-length performances in 2003 in Haiti and shorter works between 1999 and 2003. I have collaborated with Christian Bambara, who worked in West African postmodern dance and theater, touring for years with the polyvalent company Bourgeon Du Burkina. My own dance company, the CCBdance Project, was co-created with Christian Bambara in 2006, combining elements of our practices and works. Between 2006 and 2009, we created a 45-min duo about racism and the immigrant experience, which premiered during residencies in Chicago and Iowa. For me, collaboration is a heavily negotiated space in which each artist brings to the table a significant amount of professional experience in a role that is detailed and refined, specific to each project. I work on a project-to-project basis, as these works are long in duration and the processes are often in-depth and expansive in terms of movement research, thematic development, and musical collaboration. Currently I am collaborating professionally with electronic musician Kimathi Moore in Asheville on two projects for the stage (one set on students and another my in-progress solo work Who Fears Not Death). Through these two collaborations, we have worked closely on sets of ideas in the work, changing movement through improvisation, texture, and weight. Since 2013, I have also been collaborating with elder theater director and musical composer Aboubakar Bomou Bassa, who is on the board of my company in Abidjan. Abou Bassa was a founding member of Village Kiyi in Abidjan and has worked as a composer and musical director for touring dance and theater companies, namely Companie Ttché Ttché and Koteba, which toured internationally. Through this collaboration, I have learned how to propose new ideas to musicians, selectively sort through ideas that are not working, and dialogue about process and composition. In many of my danceworks, I will engage dance artists who are professional, have danced for companies, and toured their own work. They are able to bring to the work the improvisation, theater training, technique, and stage presence required for my work. The dancers are valued as trusted collaborators that can propose ideas, which I can accept or not as part of the choreographic process. I deeply respect the artists with whom I work, trusting their intuition and appreciating their interpretation of scores and improvisation, which are always in negotiation. In Abidjan, I worked closely with Jean-Luc Okou, a postmodern dance artist who directs and choreographs with his own company as well as dancing for others. Another artist that I worked with is Lassana Kamagate, who has an MA in dance through the dance and theater conservatory in Abidjan, where he currently teaches as faculty of both dance and theater. My current dialogue with new collaborator Jana Schmuk will involve our co-direction of two site-specific works and collaboration with artists who work with film to create dance film. Our initial discussions and grant writing for projects slated for 2018 – 2020 explore cumulative notions of identity and democracy and ways of making dances that are specific to our communities but also made mobile through dance film. Jana is a professional dance teacher and dance artist trained in postmodern dance and somatic techniques. She co-runs a regional training center and artist-in-residence program in Kirchau, Germany, and teaches at local universities as an adjunct. We work with different but intersecting movement vocabularies and share a very task-oriented and pragmatic way of thinking about the division of work in our new projects and the process of making dance. Overall, these collaborative endeavors require a deep negotiation of space, respect, medium, and direction. My commitment to collaboration in my own professional work has been forged through many years of doing and making in the field of dance. From these ongoing experiences I have learned to be true to my commitment to each select project, as these exchanges in making are immanently a form of feminist praxis that permits ways of exchanging and creating intersections. I aim to create sets of utopic worlds or political critiques through informed experimental dance work and collaboration. My work and processes are guided by mentors in the field including Cynthia Oliver (US/Virgin Islands), Kettly Noel (Haiti/Mali), Aboubakar Bassa (Ivory Coast) and Souleymane Badolo (New York/ Burkina Faso). In some instances, these artists collaborate with me as outside viewers, suggesting ways of working, seeing new things, and guiding the processes as elders in the field and international touring artists. Each of these mentors views video work, assists in navigating the complicated terrain of collaborations, has dialogued in-depth with me, or has entered into the studio/rehearsal environment, directly engaging with the processes. 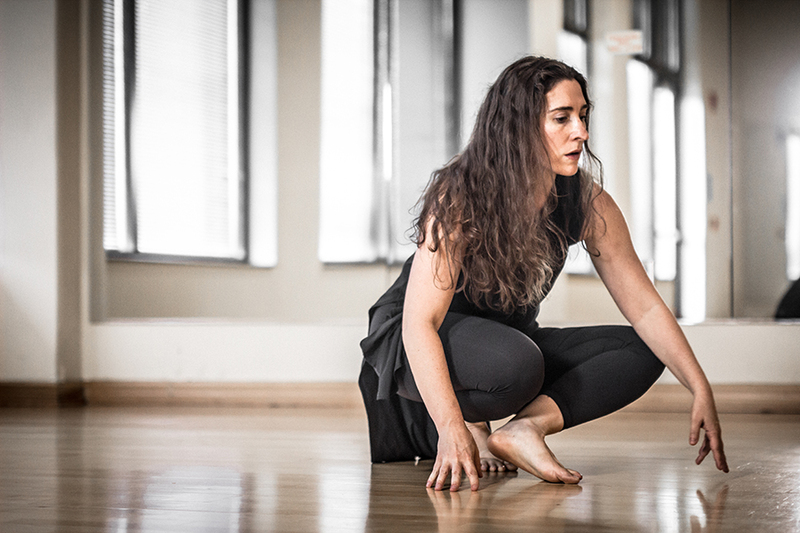 As a mid-career dance artist, I truly value these collaborations on all levels, and these experiences shape my viewpoints on new artistic endeavors and current projects in the field of dance and dancemaking. One of the ways in which I conjoin practice and theory is through posing questions. This way of thinking about dancemaking, organization, and research starts with questions such as "How do bodies love differently in interculturalism?" and "Who sets limits for what these bodies do?" These questions were the basis of inquiry for my 30-minute solo piece, Kenbe, Amour, Col•re, Folie: Improvisations for Love, which drew upon Haitian author Marie Chauvet•s once banned feminist novel Amour, Colère, Folie and the hierarchies and madness of the world that she created in her text. This solo was completed between 2009 and 2010 in Chicago and subsequently presented extensively in that city as well as in Trinidad, San Francisco, and Abidjan. It was also shown in 2015 at UNCA with a talk about artistic practice and thematic materials. The CCBdance Project has since 2006 taken this type of question-based approach, which often incorporates theoretical questions with literature or personal experience. Current projects are based on questions that are either generated directly by the movement or, conversely, raised in a project description and subsequent proposed methodology or process. For most projects this type of question-based approach is delineated in a project dossier that is used for grant applications, festival submissions, and the dance company's website. These dossiers also accompany new projects for the stage and are then translated into French when necessary, for work in the francophone dance world. Overall, a question-based approach to creating dance incorporates theoretical or philosophical underpinnings in the doing and making. These questions, embedded and developed in dance work and in dossier form, are then answered by the dance works themselves and by writing about process and production.